This morning we have received an email from Vincent Miles, a manager with Claridon Group Ltd, with the following title “CLARIDON GROUP SAVE THE SPITFIRE PROJECT IN BURMA”. No need to say that this got our attention and put all the things we have planned for the day in the back burner. We called Vincent to get more information about this news. After coming up empty last year, Spitfire hunter David Cundall claims that he is now 90% certain he has located the buried Spitfires for which he has been searching, and now partnered with new investors will return to unearth the planes in January 2014. 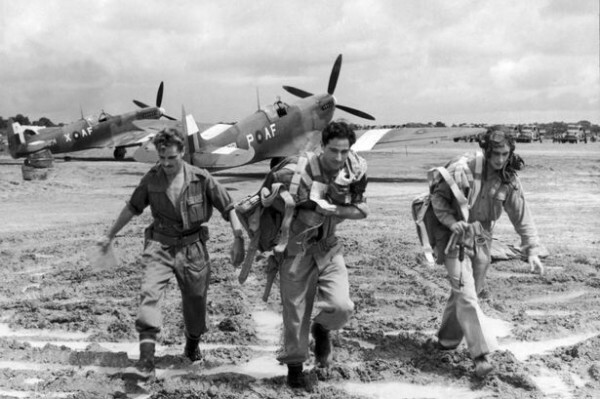 In fact UK based Global logistics company Claridon Group Ltd have stepped in to save David Cundall’s project to locate buried Spitfires in Burma. The company has distributed a press note to the medias. After 16 years of dedicating his life to the project as well as his life savings, David is heading back to Burma to resume excavating and finding the Spitfires. Due to a lack of sponsorship earlier this year the project looked doomed.After World War II, the RAF allegedly buried several Supermarine Spitfires in crates in the Southeast Asian country of Myanmar. As of January 19, archaeological efforts have proven fruitless.The research team spearheading the effort began work earlier in January at the Yangon International Airport: former site of the RAF’s Mingaladon airfield. After digging four trenches in likely spots and finding nothing, David Cundall and Wargaming Ltd ( previous sponsor)parted ways. 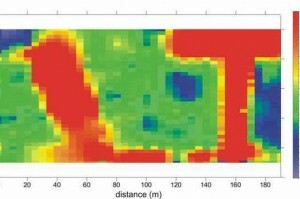 Electromagnetic survey of the site in Burma. David’s situation convinced Claridon to step in to provide the funding to allow the project to continue. Claridon who’s HQ are located in Stanford-Le-Hope, Essex also have an office in Burma and are the first privately owned British company to set up there. Chris Scott, Claridon Group’s MD said ” after meeting David and listening to how he has devoted a large part of his life as well as his life savings trying to find these iconic aircraft which played such a pivotal role in World War Two, and seeing his deep rooted passion for preserving part of our history & heritage for generations to come, we just had to get involved. David’s “never give up attitude” along with his incredible drive and devoting his life to the project deserves to be applauded & supported throughout the country”. Claridon Group are proud to partner David and provide the funding to enable him and his team to find the Spitfires. The company will be supporting David every step of the way and look forward to bringing the Spitfires back home for him. David Cundall commented ” I am extremely grateful to Claridon for saving the project and providing the funding for the project to continue. Without their support, I wouldn’t be heading back to Burma to finish the work I started all those years ago. Being experts in Global Logistics as well their 20+ years experience in military logistics, the Spitfires could not be in better hands when they are eventually shipped back to the UK ” David Cundall estimates that restoring the Spitfires back to original will create 400 UK jobs over a 5 year period after which many of the aircraft will find homes in Museums up and down the country. 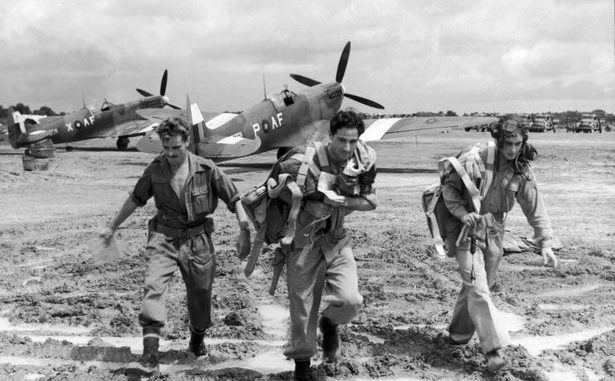 In addition to searching for buried Spitfires in Burma, Cundall is also searching for buried Spitfires a bit closer to home, in Birmingham, UK where there are rumors of several planes buried near the site of the factory that built them, though this legend has met with skepticism on the part of experts and the UK’s Ministry of Defence. Here at Warbirds News we surely support this “Indiana Jones of Warbirds”.